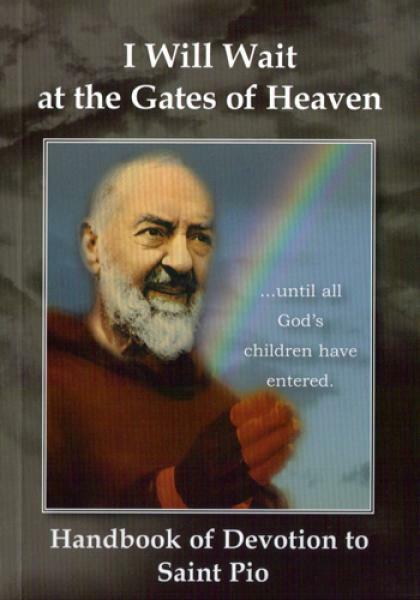 Saints Books: Devotion to St. Pio "I Will Wait at the Gates of Heaven"
Devotion to St. Pio "I Will Wait at the Gates of Heaven"
This prayer book brings together all the prayers, litanies and novenas to Padre Pio including many of the prayers he used to pray during his life. This prayer book brings together all the prayers, litanies and novenas to Padre Pio including many of the prayers he used to pray during his life. It also has many interesting facts about this famous saint as well as his many wise teachings. A must have for all Padre Pio devotees!